* Take Control: Special Makeup Artist Rick Baker, Visual Effects Producer Karen Murphy-Mundell and Director of Photography Shelly Johnson ASC take control of the viewing experience in this unique feature, offering a personal visual commentary by engaging with select scenes of the film to reveal details of the filmmaking process. * Werewolf Legacy, Lore and Legend: This documentary gives viewers a visual tour through more than seventy years of Universal's Wolf Man films and thousands of years of werewolf mythology. o Return of The Wolfman: This featurette will look at how the cast and crew behind this new retelling have tapped into the tragic roots of legend and cinematic lore to unleash a new terror for today's audience. o The Beast Maker: A detailed look at how make-up wizard Rick Baker transformed a classic monster into a modern nightmare! o Transformation Secrets: Whether transforming werewolves, producing hallucinogenic nightmares or recreating the fog-covered streets of Victorian London, this featurette will look at how the visual effects team has created a haunting world of moonlit monsters and unsettling thrills. o The Wolfman Unleashed: The team behind the stunt and action units share the physical challenges of bringing the Wolfman to life and creating a series of intense and action-oriented set pieces. + Advanced Remote Control: A sleek, elegant new way to operate your Blu-ray(TM) player. Users can navigate through menus, playback and BD-Live(TM) functions with ease. + Video Timeline: Users can easily bring up the video timeline, allowing them to instantly access any point in the movie. + Mobile-To-Go: Users can unlock a selection of bonus content with their Blu-ray(TM) discs to save to their device or to stream from anywhere there's a Wi-Fi network, enabling them to enjoy exclusive content on the go, anytime, anywhere. + Browse Titles: Users will have access to a complete list of pocket BLU(TM) app-enabled titles available and coming to Blu-ray(TM) Hi-Def. They can view free previews and see what additional content is available to unlock on their device. + Keyboard: Enter data into a Blu-ray(TM) player with your device's easy and intuitive keyboard that will facilitate such Blu-ray(TM) features as chatting with friends and sending messages. o social BLU�: Connect with friends on your favorite social networks to share information about your favorite movies, enjoy Blu-ray(TM) community features and more! 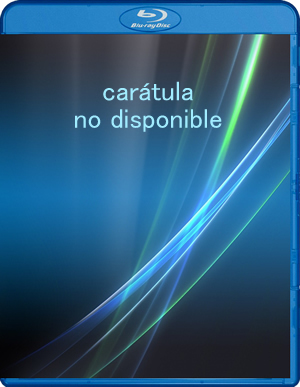 [url=http://www.index-dvd.com/blu-ray-el-hombre-lobo--copia-digital-18137.html][b][size=4]El Hombre Lobo + Copia digital[/size][/b][/url] Lanzamiento en Blu-Ray: [b][color=green]Martes 1 de junio de 2010[/color][/b] La infancia de Lawrence Talbot se acab� bruscamente la noche que muri� su madre. Se fue del adormilado pueblecito de Blackmoor y tard� d�cadas en recuperarse e intentar olvidar. Cuando Gwen Conliffe (Emily Blunt), la prometida de su hermano, le encuentra y le ruega que la ayude a buscar a su amor, Lawrence Talbot regresa a casa. Entonces se entera de que algo brutal, salvaje, con una sed insaciable de sangre ha matado a muchos campesinos, por lo que un suspicaz inspector de Scotland Yard (Hugo Weaving) ha venido a investigar. Empieza a encajar las piezas del sangriento rompecabezas y se entera de que existe una antigua maldici�n que convierte a las v�ctimas en hombres lobo las noches de luna llena. Para acabar con la carnicer�a y proteger a la mujer de la que se ha enamorado, Lawrence Talbot debe destruir a la temible criatura que se esconde en los bosques cercanos a Blackmoor. Este hombre sencillo con un pasado doloroso sale en busca de la bestia y descubre que �l tambi�n tiene un lado primitivo que ni siquiera pod�a imaginar.